Albergue Pereiro hostel is located in the village of Melide, in the historic route of The Way of St. James, a meeting point between the traditional French Way and rising Primitive Way. In this village, which is located in the center of Galicia, you can enjoy great tourist areas, such as the antique monumental area, vestiges of the Celtic period or Romanesque monuments. It has a variety of views of the countryside and natural environment of great beauty and repose. Albergue Pereiro opened in May 2013 with all the services that the visitor may need and 40 accommodation places, distributed among rooms for 2, 4, 8, 12 or 14 people. 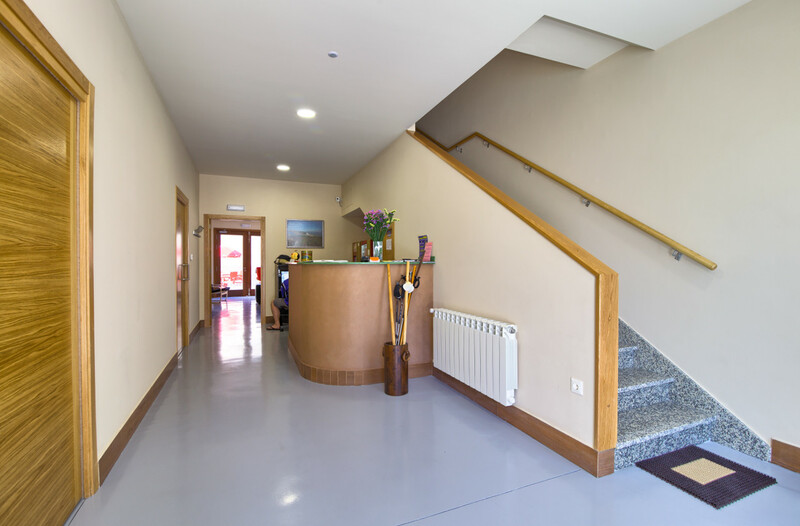 In 2016 Hostel Pereiro expands its services with private rooms (single, double and triple rooms), all of them with bathroom, TV, heating and WiFi. Nearby the hostel you can find restaurants and cafes, a medical center, pharmacies, supermarkets and shops and stores for all needs. Our aim is to make our guests feel comfortable, in facilities designed to provide the best care, in a friendly atmosphere.